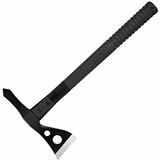 If you are a woods person or you enjoy camping with your family or friends, hiking or simply working in your yard or in the farm, this Tactical Tomahawk is the weapon and at the same time, tool you need will ever need. 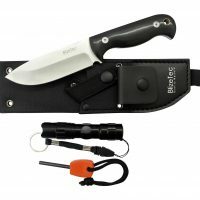 It’s a bigger version of the SOG Fasthawk. 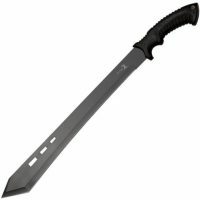 This tomahawk is based on the original version used by American soldiers in combat during the Vietnam War. Back then the handle was made of wood and the blade was regular iron but it did the job as well. Today we are talking about a completely different and modern tool weapon. 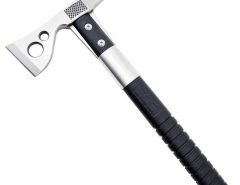 The Tactical Tomahawk has an overall length of fifteen point seventy five inches. 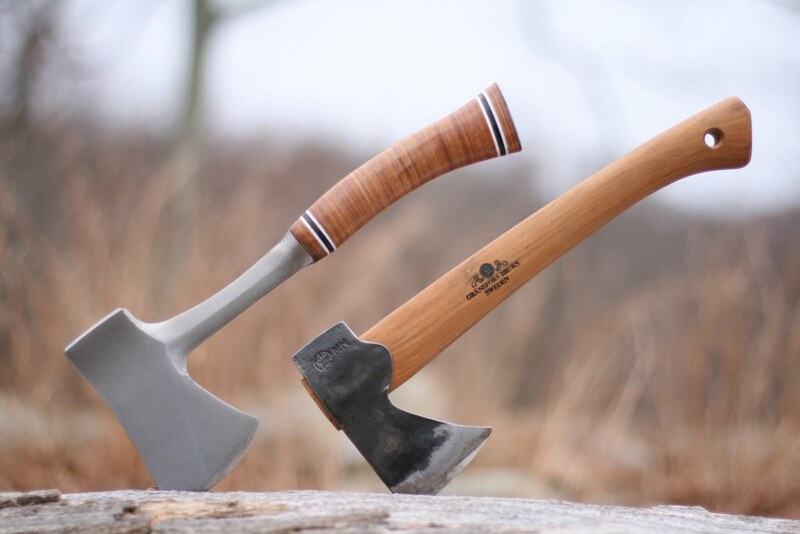 The axe head is two point seventy five inches and is made out of 420, heat-treated, stainless steel. 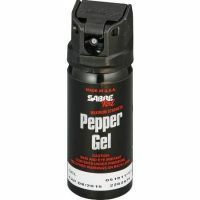 Its hardness is between fifty one and fifty three RC which makes it very strong and resistant to use and abuse too. You can pick between the polished, shiny axe head or the black axe head I believe the black one is cooler and it will not reflect the light when you approach the enemy at night, but it is a matter of taste. The edge is straight and at the back of the axe it has a nasty looking pick that you can use to dig yourself out of any hole you get into. The handle is made from glass reinforced nylon which is a bit grooved for better handling and a tighter grip when used under any weather conditions. 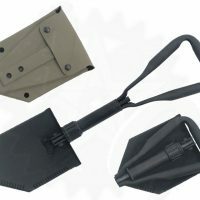 The handle is attached to the axe head with two sturdy, heavy duty bolts and it also has a metal ferrule down the center to balance the weight between the axe head and the handle. It also provides greater stability when striking at anything with it. 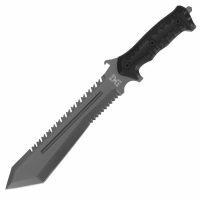 The axe comes with a ballistic polymer sheath which is strapped on to the leg and has two safety snaps to keep the axe in place. 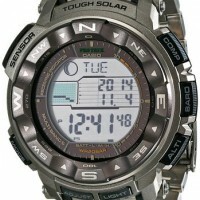 The sheath is also black and very resistance to weather conditions and use. 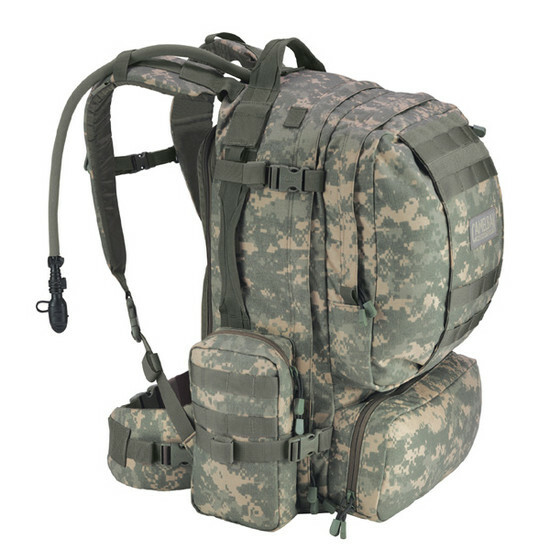 The complete set weighs twenty four ounces and is easy to carry anywhere you go. Some people cover it with rubber to improve the grip under special conditions like rain or mud but it is not really necessary because it is easy to handle and use by itself without adding anything to it. 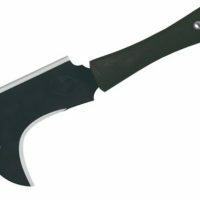 We have tried this axe under different circumstances and have asked other people who have bought it about their opinion and the results they get from it. Our experience was good but not exceptional. 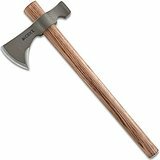 The axe has an excellent cutting edge that will cut through a tree with ease and it is easy to handle and swing. 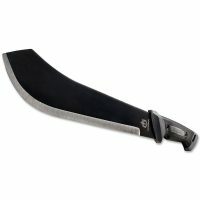 The balance is perfect for cutting medium size trees down and also for cutting paths through the jungle or forest. 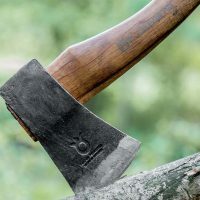 The only negative comment we have heard is that the balance is not exactly right to throw it at a target and that with time the axe head may come lose from the handle and that’s exactly what happened with mine. It’s only a slight wobble at this stage but it’s only a matter of time until it breaks. 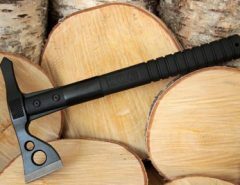 We recommend the F01TN-CP Tactical Tomahawk for normal camping and wood cutting jobs because it’s a very good ‘hawk for the price.